I just can't get enough from glitters. 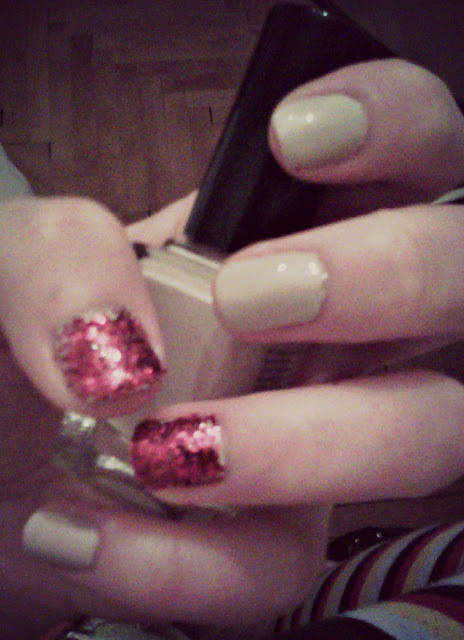 Used - creamy and red glitter nail polishes. I do own this photo. Heey it would be nice to follow each other. Lovely look! Grat for a night out I imagine!! Good job! 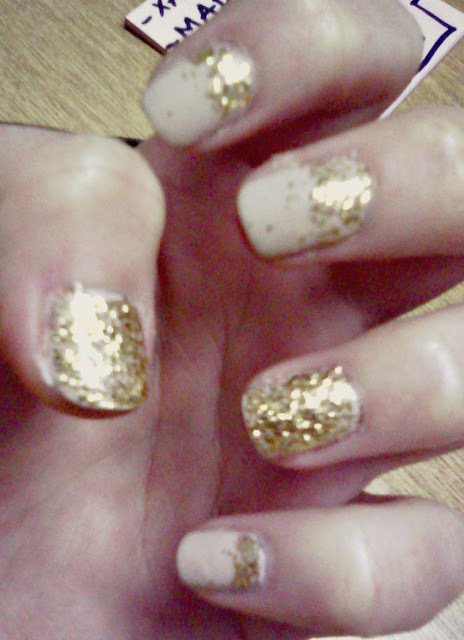 I actually yesterday painted my nails and on my ring fingers I decided to put on some glittter just for fun :D. I shall do a Blog post about it soon.